Living in Colorado, I am blessed to be able to see the leaves change from my own yard to the top of the mountain range. This is my absolute favorite time of year; the brutal heat is gone, the crisp air is invigorating, and the sleeping is the best! card with texture, so you can't see the patterns that well. 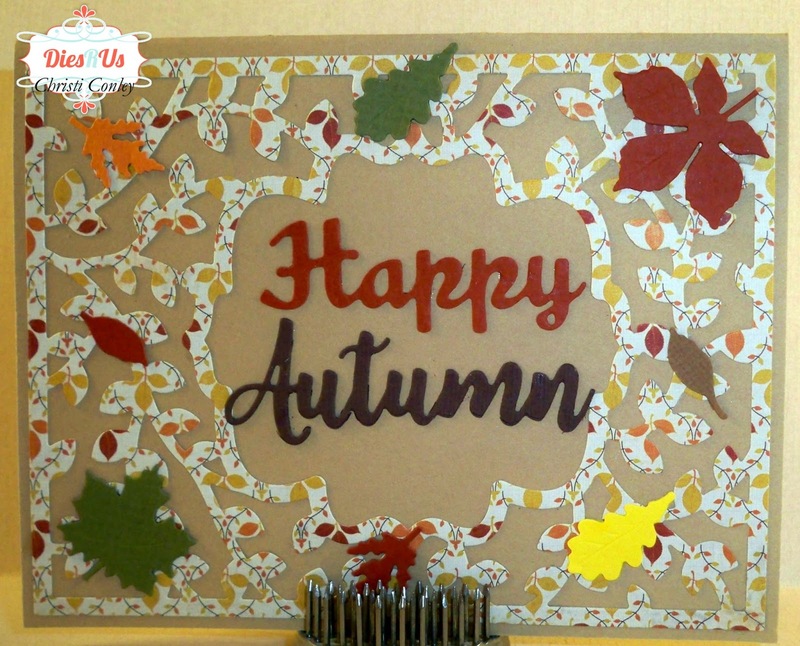 Don't forget to play along at the Dies R Us Challenge Blog for your chance to win a gift voucher to the Dies R Us Store. A new challenge begins on the first and fifteenth of every month. Be sure to Follow Us on FACEBOOK too. Very pretty; love the fall colors. Beautiful card. 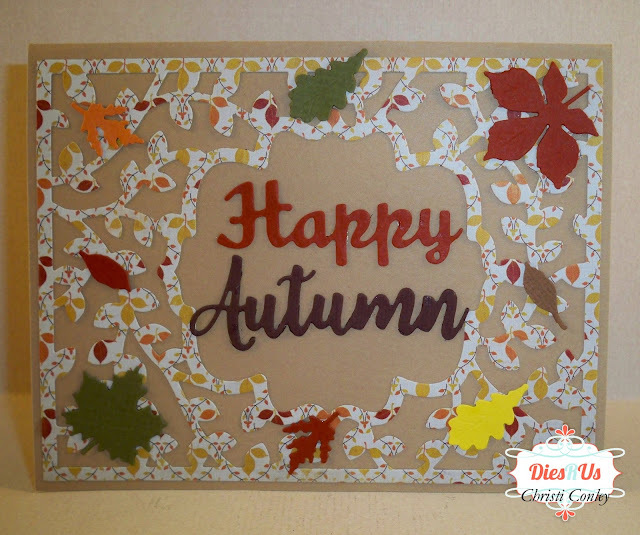 Love the warm colours of Fall that you used on your card. Celebration time is near . . .